This is a short guide on how to approach the evaluation of SnowMirror 4 Beta. Please follow the steps below and provide us your feedback on testing. Please do not upgrade your existing production SnowMirror! Install a fresh copy instead! SnowMirror 4.0 is mainly about replication performance, so, unfortunately, the best instance to use for testing is your production instance. The sub-production instances have worse performance characteristics and they typically have just 2 nodes. The production instances might have more nodes which are better for testing. If the production instance is not available for the test then you can use the sub-production instance of course. We recommend participating in one of the scheduled webinar sessions to learn all the details about the changes. 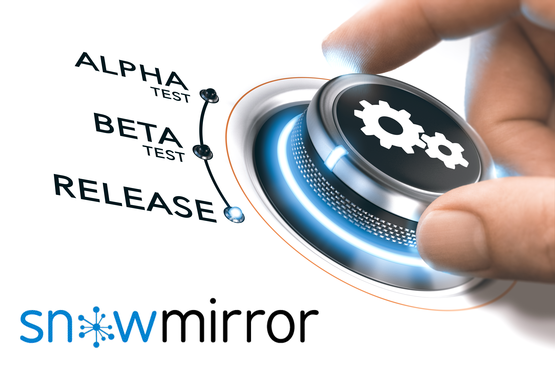 You can read the Admin Guide for the Beta release either online or in the SnowMirror application itself. Please note that your existing Lite and Enterprise licenses have the limitation to two nodes only. Existing Cluster licenses are not limited at all. Download the SnowMirror 4.0 Beta Windows Installer (or the ZIP distribution). Request an unlimited testing license via email (support@snow-mirror.com). Please send us the names of instances. Please report all the issues and feedback to support@snow-mirror.com. We would appreciate the Stats export as well. The crucial performance setting is the number of nodes in your ServiceNow instance cluster. This number is not something you request from ServiceNow. ServiceNow infrastructure teams manage the number of nodes according to the size, load, and many other factors. Here are the three ways you could learn how many nodes you have. All of the methods should give the same results. Go to ServiceNow -> System Diagnostics -> Diagnostics Page and count the number of nodes having Logged In Users in positive numbers. The rest of the nodes are typically just stand-by nodes. There is another new feature in SnowMirror 4.0 worth testing. It is a new Delete Strategy and unlike the original Differential strategy, it should be much faster. It tries to identify the parts of a table where a delete could be and compares the keys only in these parts. The rest of the table is not being downloaded which enables the strategy to finish much faster. This strategy is designed for large tables that are not being audited, but where a delete can occur. It works the best for tables with a low number of deletes and the tables which are not being under heavy load during the synchronization run. The big number of deletes or heavy load simply makes the strategy similar to the original Difference strategy. Please test this new feature too and provide us your feedback if it works in your environment.